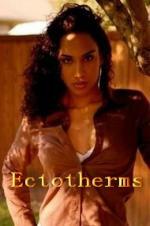 Buy or Rent Ectotherms (2014) Movie DVD & BluRay Online! Movie Plot: When teenager Chelsey finds her grandmother dead, she knows life without the Cuban woman who raised her will never be the same. So she skips school with her brother Cassidy and his friends, making their way across Miami to a Black Metal show, where she confesses her secret. ECTOTHERMS is a no-budget hybrid film featuring a non-professional cast and using their real lives and the places they inhabit to shape the scriptless story, traversing Miami’s island influences, brash punk scene, wild Everglades swamps, and the urban spaces in between. This experiment gives an impression of Miami as it is lived, not imagined: a sultry city where family heritage, urban plight, and the unique landscape intersect to create a youth culture like no other in the world.